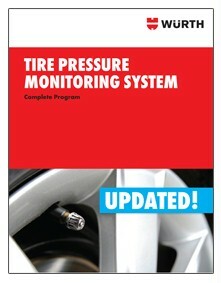 The WURTH TPMS Sensor System contains two blank sensors that are easily programmed to diagnose any vehicle in just a few simple steps. Designed to perform like O.E. sensors, WURTH TPMS sensors assemble quickly on to any aluminum or steel rims and have a 0-30 degree adjustable valve stem that fits all wheel types.